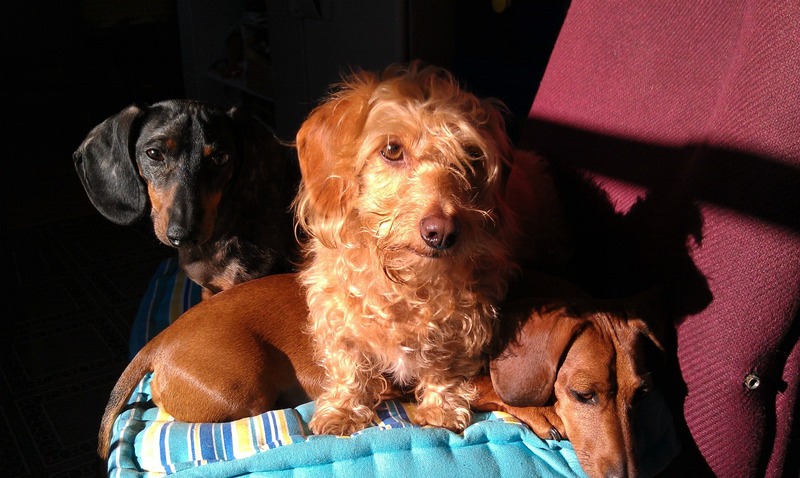 My Three Doxsons: Dachshund Can't Navigate the Blankets? Dachshund Can't Navigate the Blankets? A dachshund that isn't an absolute professional at infiltrating any sort of bedding or blankets? Well, it would have to be Sandie. She is my "not the sharpest tool in the shed" dachshund. When Sandie comes to get under the covers she stops short, not sure what she should do. Now with the other dogs I just lift the covers and they scoot underneath, heading to "their spot". Everyone has a spot. Foozer will sometimes take Peaches spot and that doesn't go over well. She will come back out of the covers and may make several attempts to get to her spot and doesn't understand why he's still there. She eventually stuffs herself next to him. Spaatz likes to sleep with his head on my shoulder. Then there is Miss Sandie, she stops and I go to help her and she turns into a rag doll, unable to move on her own. This where I grab her and stuff her under the covers like that last item you stick in your suitcase as you run out the door. Then she might try to take Spaatz's place, also not happening. Eventually everyone settles down and all is well. 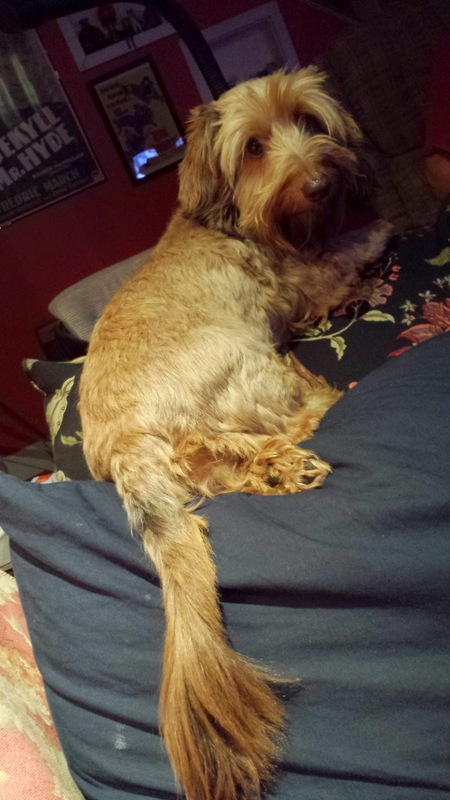 Does Your Dachshund Do This? Do You Sleep with Dachshund(s)? 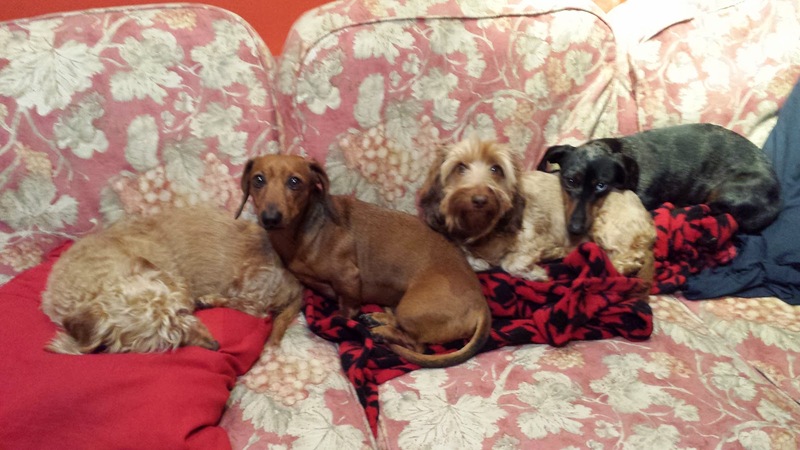 It was a dachshund holiday! 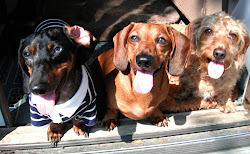 Shout out: Get Well Crusoe from MYTHREEDOXSONS !